Puerto Morelos Blog: Big Shout Out To Dot from Canada! Thank You!! I dropped in the Mayan Riviera Property office and happened to meet Dot from Canada. It was the first time that I had met her, but she's a self-professed avid PuertoMorelosBlog.com reader -- in other words, a fellow Puerto Morelian with Puerto Morelophilia. 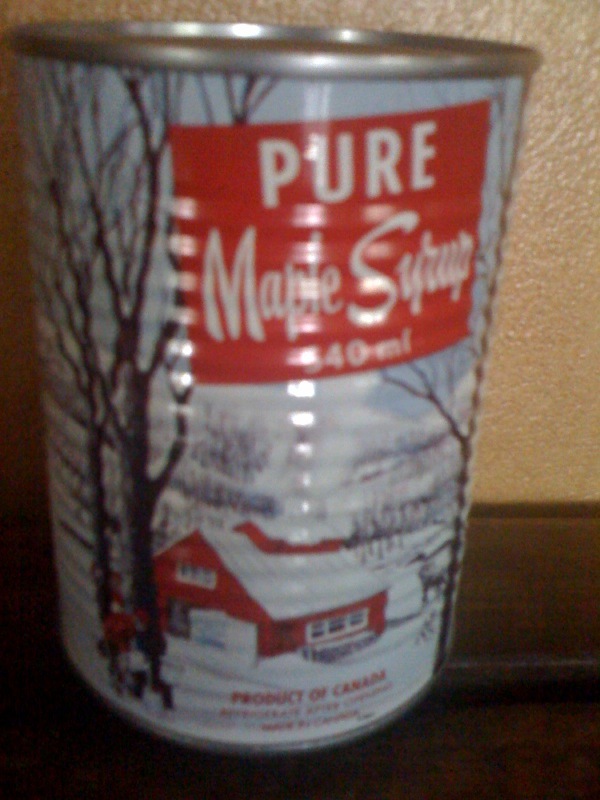 She appeared in our office, like an angel sent from above, with this gift of PURE CANADIAN MAPLE SYRUP!! Three Cheers for Dot from Canada!!!! So, from the bottom of my tummy: Thank you, Muchísimas Gracias, & Muy Amable, Amiga!!!!!!!!! I am so glad that you enjoy the blog and MUCH THANKS!!! 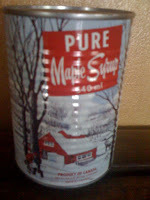 Is that the can of Maple Syrup I brought you Amber in July?